As people have become conscious about their health and are highly aware of the fact that how important it is to keep them self healthy and in shape. There have been many inventions in new types of machines when it comes to working out but there are have new way of exercises that have been introduces which are very effective and good for health other than helping you with losing weight and keeping your body perfect, one of these new methods is the vibrations exercise. 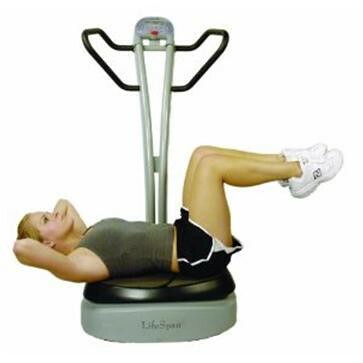 In this type of exercise the muscles in different parts of the body are stimulated in small, repetitive movements with the help of the vibration machine. This not only increases the blood circulation of the body as the muscles are constantly being massaged it also helps to enhance your beauty in several ways. Vibration exercise helps you to lose weight and also enhances your metabolism system which leads to quick digestion of food and avoid the problems like constipation and acidity. It makes your muscles stronger and improves your flexibility and tones your muscles and gives your body a good shape. It is always preferable to use the vibration exercise combining it with other types of exercises so that on one hand if you are getting rid of the fats on your body then on the other hand you are able to tone up your muscles. Therefore try this great combination of exercise it will help you to maintain a perfect figure that you always dream of.